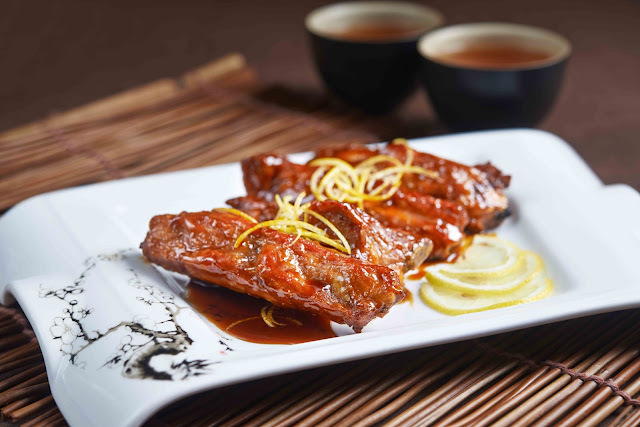 This September, titillate your taste buds with delectable tender and juicy spare ribs specials at Xin Cuisine. Spare ribs are a popular in North American and Asian cuisines. The ribcage of a domestic pig, meat and bones together, is cut into usable pieces, prepared by smoking, grilling, or baking. Spare ribs is marinated with sugar, salt, egg, flour and then deep-fried to perfection. Soya sauce, lemon sauce, sugar are boiled till the mixture is sticky. Last but not least, put in the deep-fried spare ribs into the sauce and perfectly coat it. Have it on its own or together with other side dishes. For each dish, diners are charged at RM25.00 nett per portion. Available for lunch and dinner. For reservations, please call 2144 8750 (direct line).